Commissioned by END. 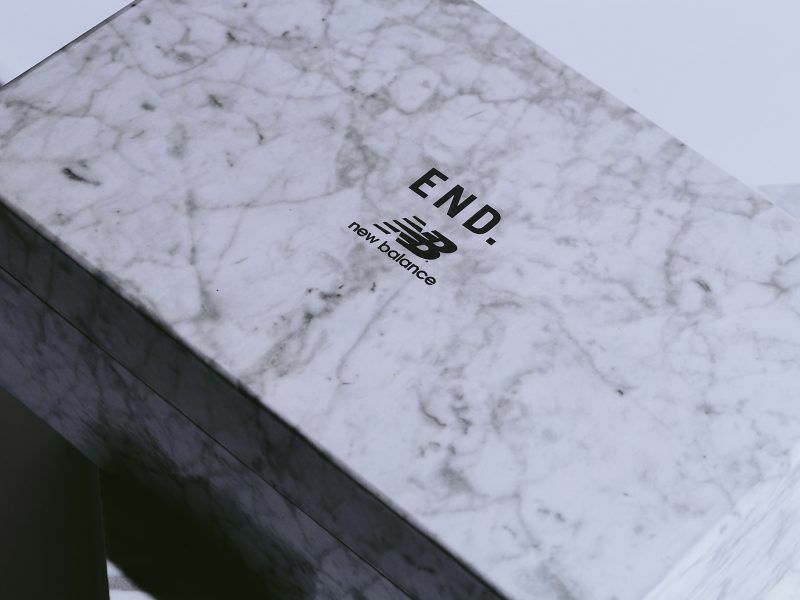 Clothing to create a limited edition bespoke box in fitting with a special collaboration between END. and New Balance. The brief title “Marble White”. Through our extensive supply options, we were able to take this project beyond the limits that would confine the majority of creative packaging companies. We have worked with suppliers and manufacturers in Italy for decades and through our extensive network for this project we called upon the owners of the Michael Angelo Quarry in Carrara, Italy. After instructing the brief we decided to create something with maximum impact. 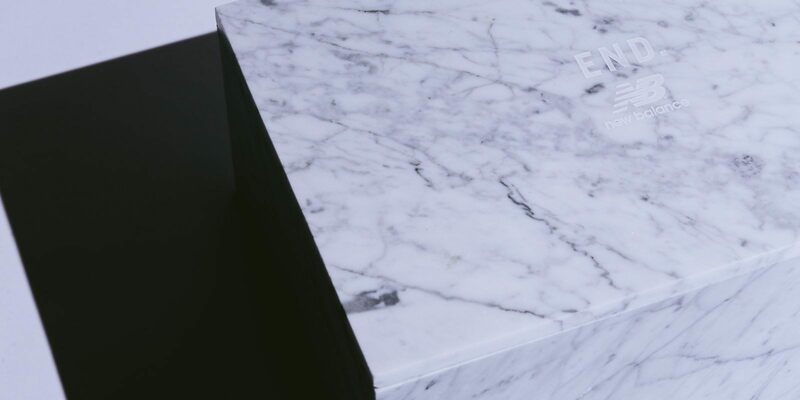 We had to come up with something that would push the boundaries which had never been produced before, in this instance a bespoke Carrara marble shoe box. Working closely with END. 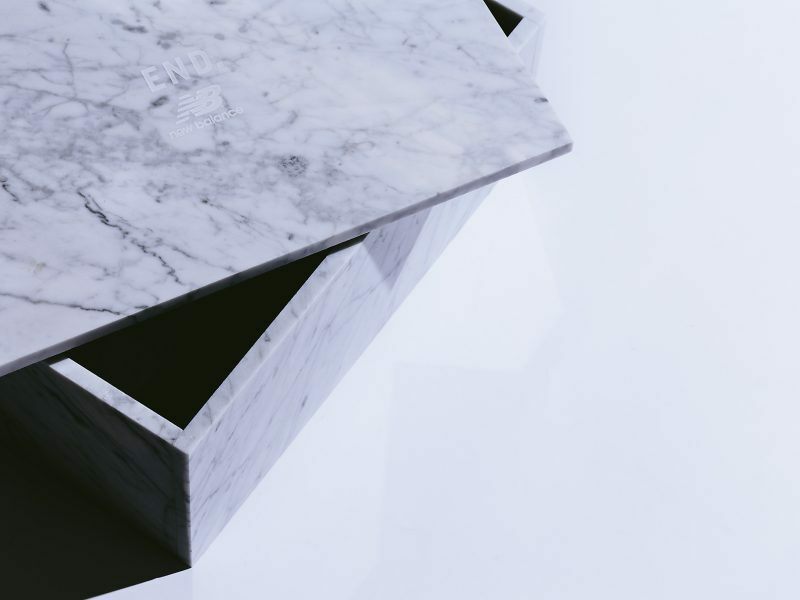 on the processes and testing various samples and print methods we finally perfected the Carrara marble shoe box with lift off lid. The customer insisted on a surface logo and we had to outsource this part of the process. We successfully sourced a local sand blasting specialist who was able to engrave the logo. The next step of the project was transportation of the 15KG boxes from Italy to the UK for the seeding stage of the launch. We sourced wooden boxes with inner Styrofoam for protection and these were delivered without damage. These boxes had to be re-used to send out the special box for seeding, again without damage. Finally we had to co-ordinate a photo shoot of the product at the quarry. After initial refusal to due to obvious health and safety concerns, we negotiated with the owners of the quarry to host our customers for two days of shooting. Alongside this box was a special issue release of a rigid board box wrapped with art paper with a Carrara marble print and silver foil blocking for logos. We relished tackling this project knowing through our contacts that we can do something a little bit different.